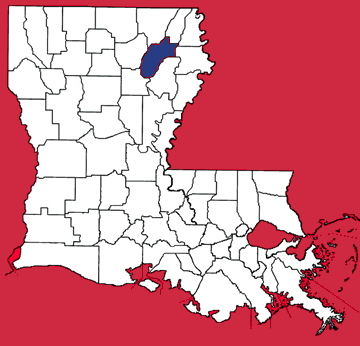 Established in September 1868, Richland Parish encompasses 558.5 square miles of territory originally included in Ouachita, Franklin, Carroll, and Morehouse parishes. 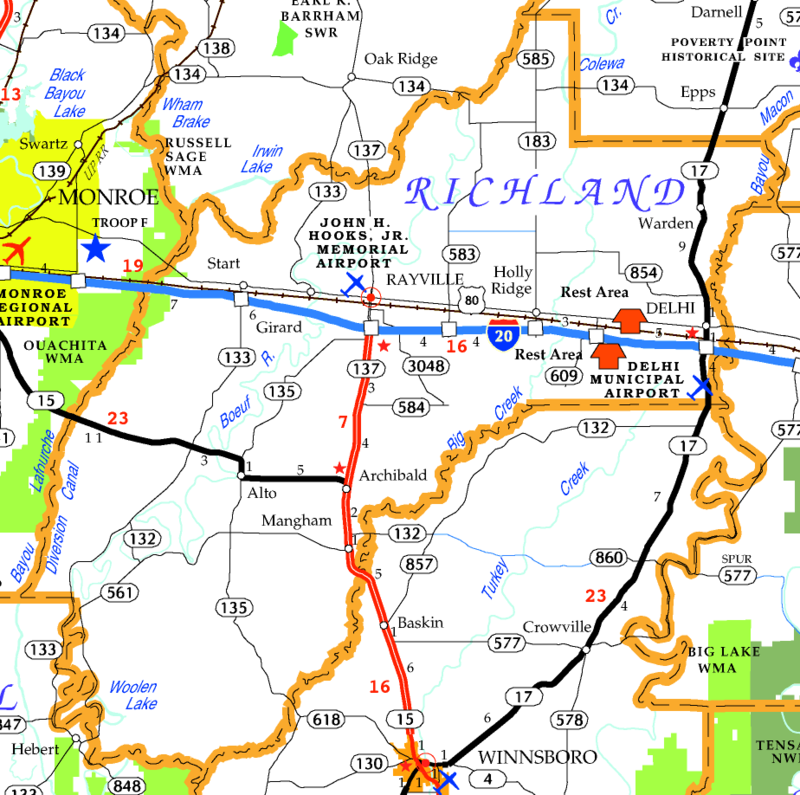 Richland Parish's name reportedly stems from "the richness of the soil." In 2000, the population of Richland Parish was 20,981. Richland Parish's economy is based upon cotton and timber production. Rayville, the seat of justice in Richland Parish, is a picturesque railroad town, while Delhi, situated along I-20, serves as the principal southern gateway to the Poverty Point archaeological landmark.